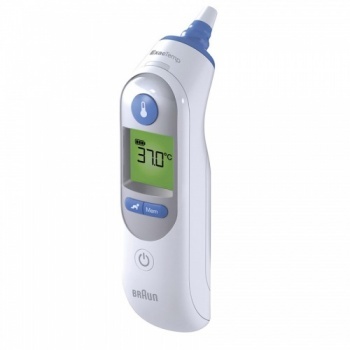 Braun ThermoScan 7 with Age Precision is an infrared ear thermometer from no.1 brand among doctors*. 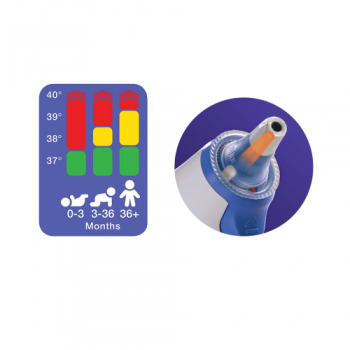 It features patented Age Precision technology, an age adjustable fever guidance which takes the guesswork out of the temperature reading. Features like patented pre-warmed tip and ExacTemp help to ensure professional accuracy of the measurement. 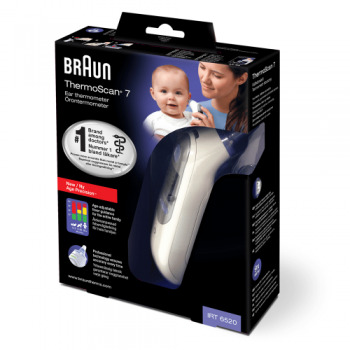 Braun ThermoScan is fast, gentle and easy to use. It is suitable for the whole family – from new-borns to adults. 2x AA 1.5 V Duracell batteries. 2 x AA 1.5 V duracell batteries.